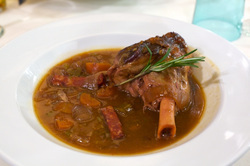 Lamb Shank not commonplace on a Desi restaurant menu. However i have come across the videos below proof that even this dish has not escaped the Desi influence hence i present you Lamb Shank The Desi Way. Spice up your evening meal and try one of these unique recipes in the coming weeks.